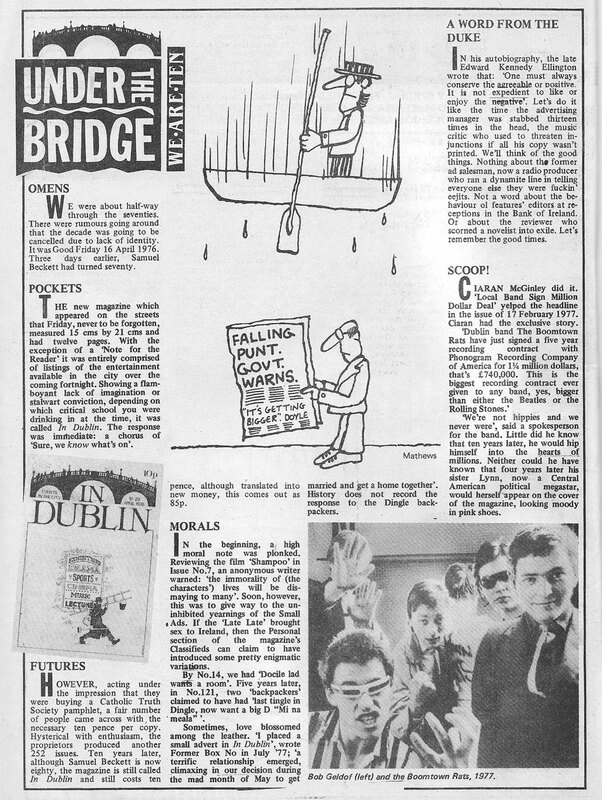 “In Dublin” magazine celebrated its 10th anniversary in April, 1987 with this issue. 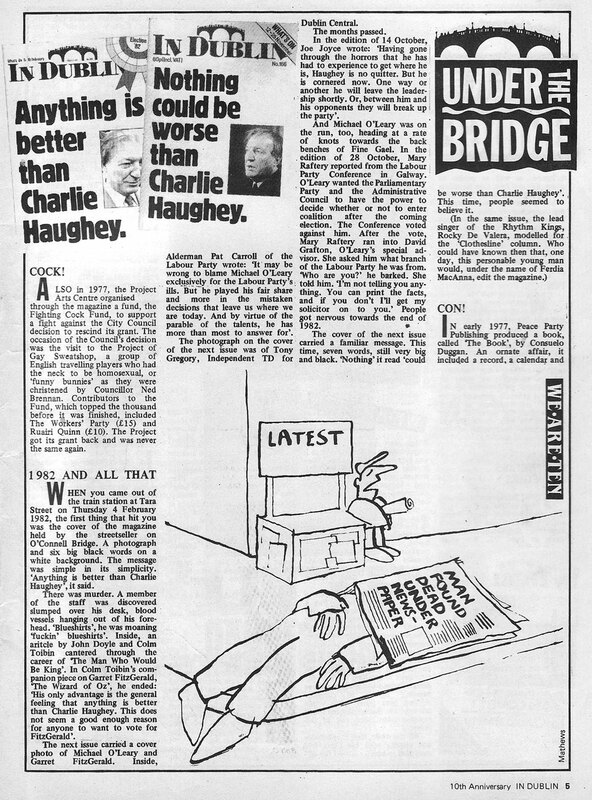 I’ve scanned in all 3 pages from its “Under the Bridge” section as it does a brief review of its first 10 years. 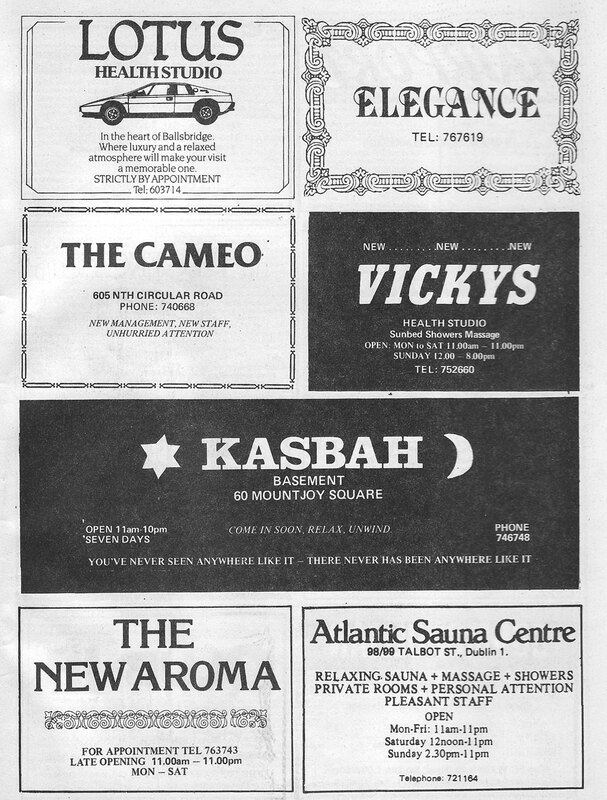 I’ve also included Paul Webb’s nightclub column and a page of adverts for Dublin Health Studios. Back then, the Cameo was under new management with new staff and unhurried attention. 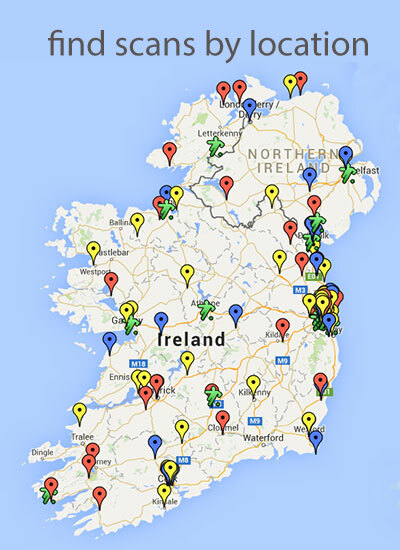 Does anyone have the names of the staff who worked at In Dublin magazines 1987-1990? Did I hear that it closed down shortly after this news item appeared? 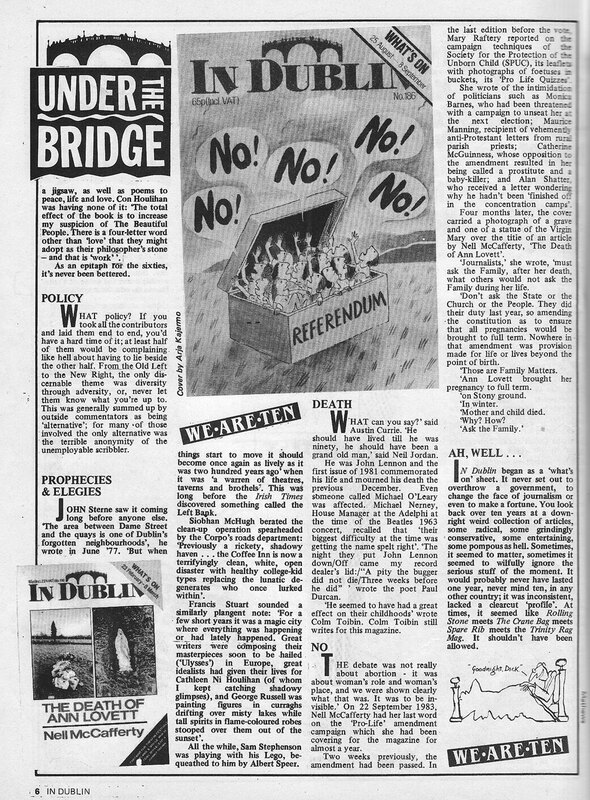 The magazine “In Dublin” has been banned for six months by the Censorship of Publications Board. An official of the board said the ban was issued on the grounds that the magazine was found to have been usually or frequently indecent or obscene. The National Union of Journalists has condemned the banning, which went into effect yesterday. The magazine’s publisher said a publication with similar content, called “Dublin”, is expected to appear today. The entertainment listings magazine “In Dublin” has appeared every fortnight on the streets of the capital for 23 years. However, following complaints from the public it has now been banned for 6 months by the Censorship of Publications Board with immediate effect. 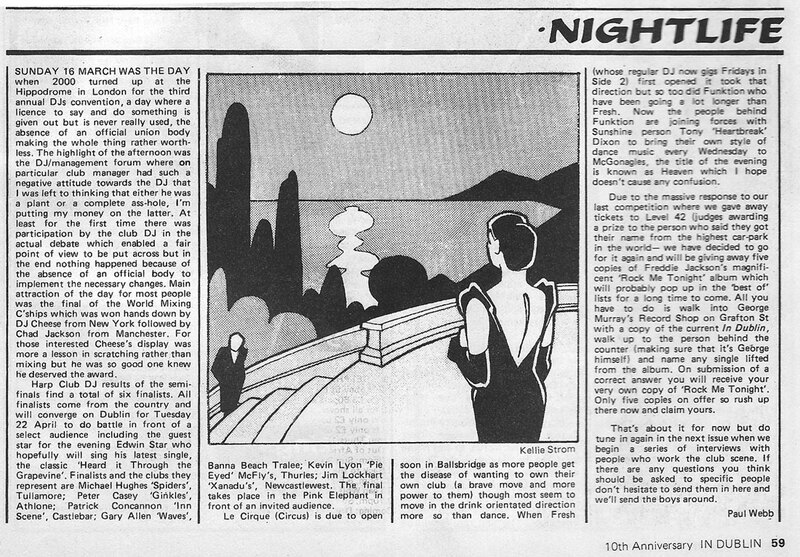 It is believed that the source of the complaints was not the magazine’s editorial content but advertisements for brothels posing as health studios. However, there is no suggestion that the magazine’s publishers were aware that some of their advertisers were offering sexual favours for money. The censorship board would not comment directly on why they made their decision. However, Mike Hogan the magazine’s publisher, has vowed to fight this case all the way through the court system and will appeal the ban to the High Court next Wednesday. Mr James Ridge, of the Censorship board said he was precluded from commenting on the case, because of the expected appeal. When did IN Dublin change to A4 size ?